Happy Mani Monday! How was your weekend? The BF and I went to see The Boss, we both thought it was pretty funny. Since we were at the mall you know I had to stop in Sephora. Here's my little haul from the weekend. 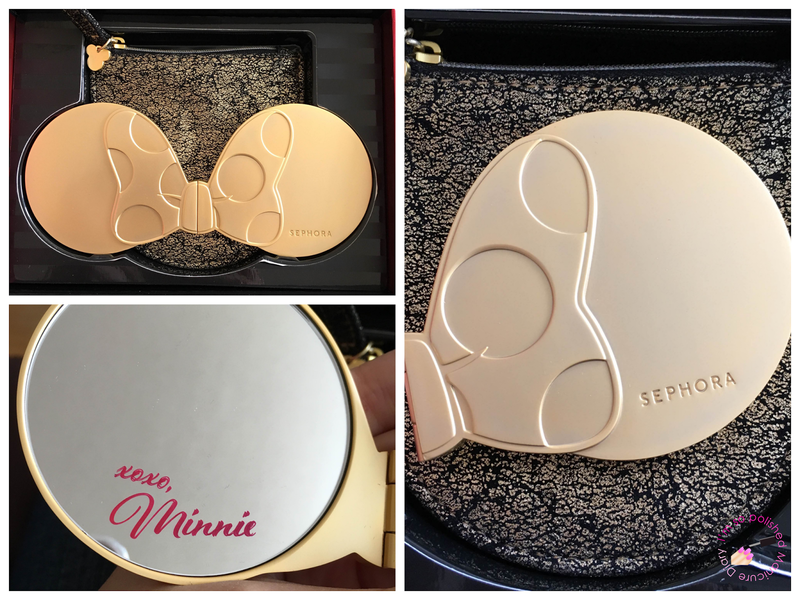 I picked up the compact from the Minnie Collection, Benefit's Dandelion Wishes set, and a Sephora lip cream in the shade African Violet. My favorite purchase from Sephora was this adorable compact. I was worried that it would be made cheaply based on photos online, but once it was in my hands I knew it was well made. The mirror feels heavy luxe. I love that there's a little pouch included so it doesn't get scratched in my purse! 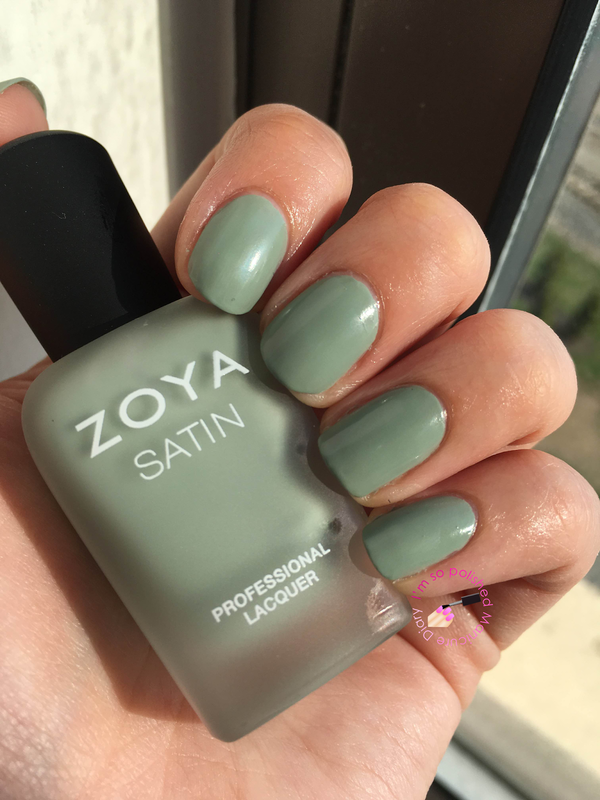 Today I'm wearing Zoya Sage, a lovely mossy green that dries in a satin finish. 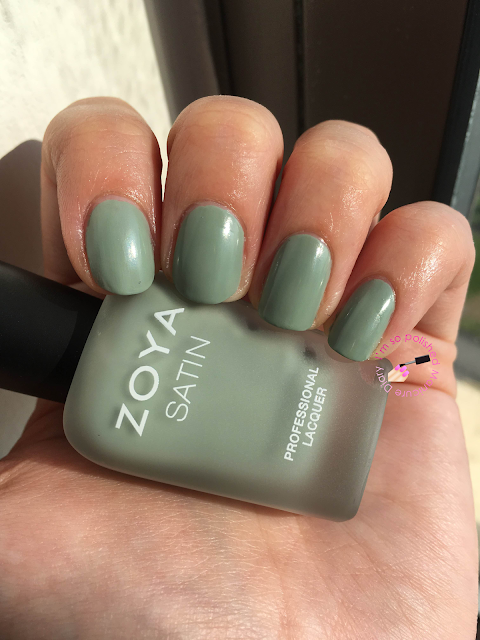 Zoya describes their satin finishes as a hybrid between matte and glossy polishes. 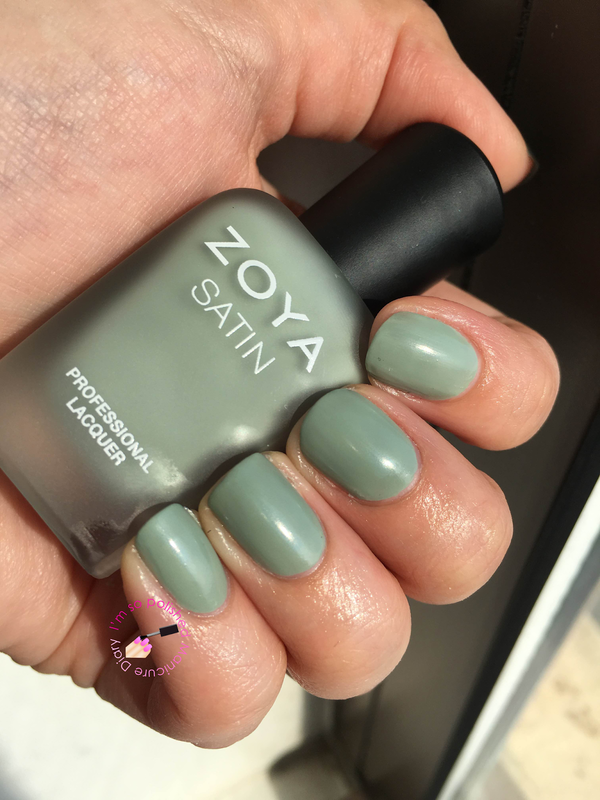 It isn't intended to be worn with a top coat, but I happen to have their satin finish top coat so after two coats of Sage I used the top coat. Hope you all have a great start to your week!